Some nursing women find themselves needing to be away from their babies for a period of time due to a trip, a military deployment, hospitalization, or many other reasons. A physical separation doesn’t have to mean the end of a breastfeeding relationship! 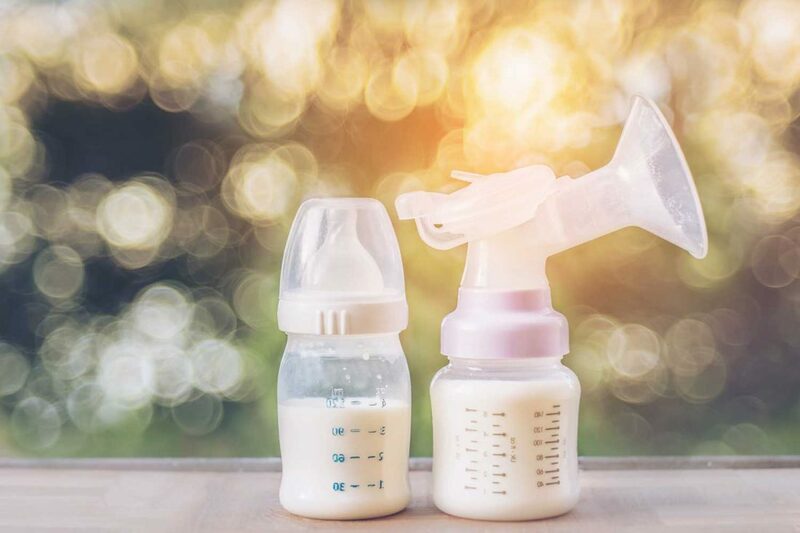 If a nursing mother wants to keep breastfeeding, exclusively pumping during the separation can be a great way to maintain milk supply and keep providing milk for her baby even while she’s away. If you find yourself needing to exclusively pump for a period of time, here is how to do it. Obviously, if you’re going to exclusively pump you’ll need a breast pump. Here are some details about what kind, and what else you’ll want to get. Breast Pump – You’ll want to get a double electric pump if you’ll be exclusively pumping for any length of time. It’s possible but more challenging to pump exclusively with a single or manual pump. Breast Milk Bags – You’ll need these to store and transport the milk that you pump. Extra Bottles and Pump Parts – Since you’ll be pumping multiple times a day, it can be nice to have extras to use at each pumping session and wash everything in one batch. Hands-free Bra – When you’re pumping multiple times a day, a hands-free bra can be a good investment, as it allows you spend the time you’re pumping doing other things besides holding up your breast shields, like working on a laptop, reading, etc. When you’re with your baby, your nursing schedule is whenever your baby is hungry. However, when you’re exclusively pumping, you’ll want to put yourself on a pumping schedule. You should aim to pump about as many times in a day as your baby eats. So, if your baby nurses about five times a day, you’d do five pumping sessions a day. However, if your baby tends to snack quite a bit and you’re not sure how often to pump, you can refer to these sample pumping schedules, which have schedules broken out by age of the baby. How long should your pumping sessions be? That depends on how many of them you have. You want to aim for a total of 2 hours or 120 minutes pumping each day. So, for example, if you’re pumping six times a day, you would pump for 20 minutes at a time. Your pumping sessions don’t necessarily have to be at the same time of the day that your baby would normally eat; it’s totally fine to reorganize your sessions around work or other things that you have to do. Just try to make sure that they are reasonably spaced out. If you’ve been exclusively pumping while traveling, you’ll need to get your milk home somehow. Your two options are to ship it or take it with you on your trip. If you decide to ship it, you’ll want to buy a styrofoam cooler and dry ice. You can pack your breast milk in the cooler – there are detailed step-by-step instructions here and ship it via FedEx or another shipping service. If possible, it’s best to ship your milk earlier in the week rather than later so it doesn’t end up sitting somewhere in transit on Sunday, when there’s no delivery. The other option is to bring it with you when you travel. As with shipping it, you’ll need to get a cooler. If you’re driving, you can probably use normal ice as long as you replace it when needed. If you’re flying, check with your airline for guidelines on flying with human milk. The good news is that being away from you baby for an extended period of time doesn’t mean that you have to wean. Exclusively pumping while you’re away can help keep your supply up so you can start nursing again when you’re together. Amanda has three kids and has spent a total of 44 months of her life hooking herself up to a breast pump. 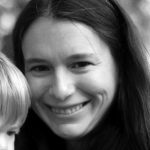 She blogs about exclusive pumping at exclusivepumping.com, and you can find her on Facebook and Pinterest. Thanks for sharing these benefits. Indeed, breastfeeding facilitates bonding between the mum and baby. A knowledge giving article and I will definitely going to save them for future reference. Thanks you!